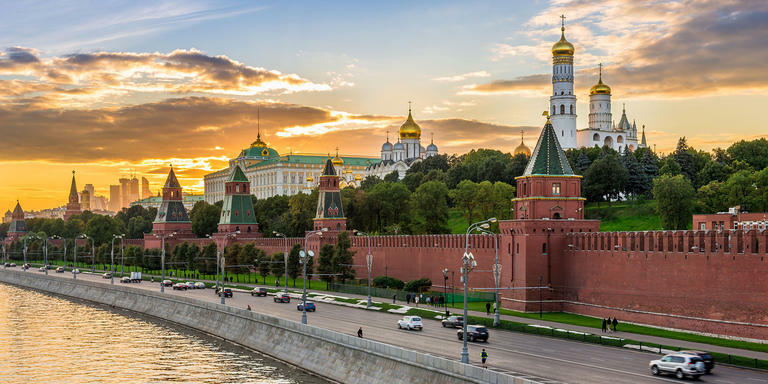 The Kremlin dominates Red Square, the left bank of the Moskva River, history, religion, politics, Moscow, and Russia itself. And, of course, any visit to the capital. 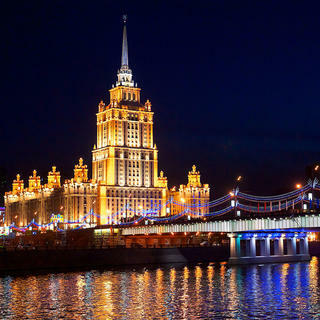 It is the fortified and beating heart of Russia, and the first place you should visit. The closed triangle of power, the Forbidden City of the Tsars, its blooms are monuments, palaces, churches, and museums. A city within the city (closed on Thursdays) famous for its imperial parades and cathedrals, it has 19 towers, built from 1485 to 1680, of which eight mark the perimeter. Among them is the Nabatnaya, whose bells warned the public of Tartar raids, and told them to come seek protection in the enclosure. Passing through the St. Frol's (Saviour's) Gate, the visitor's eye will apprehend the different styles (Renaissance or neoclassical) of the official buildings: the Kremlin Senate, Arsenal, State Kremlin Palace, Palace of Facets, Grand Kremlin Palace, Terem Palace, and the Presidential Administration buildings. Note the octagonal bell tower (1508) of Ivan the Great, which, at 81 metres, dominates all. Don't miss the Queen of Bells, the 200-ton Tsar's Bell, broken during its casting in 1701, and never rung.